The terms offer letter and employee agreement are sometimes used interchangeably. However, there are a few differences that you need to take note of so you can separate them from one another. An offer letter is the first document that is sent to an applicant who has passed all the levels of the hiring processes. This document is used to announce that the candidate has been selected by a company as one of its final potential employees. 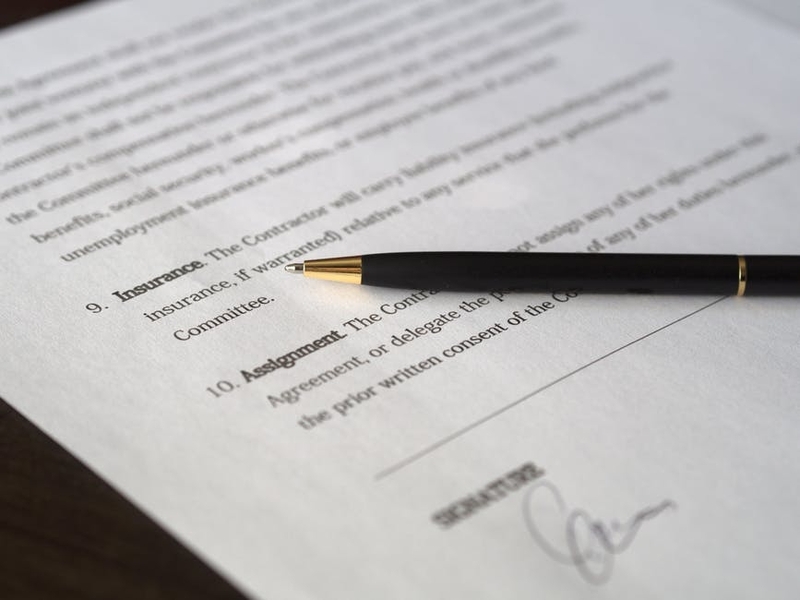 On the other hand, an employee agreement is the document that is created after an applicant has agreed with the entire content of the offer letter or if necessary changes has already been made, if there are any. Knowing how to differentiate an offer letter or an appointment letter and an employee agreement can help your business be more organized when it comes to dealing with your employees as well as in keeping the documents of your workforce right from the beginning of their service. To help you create these documents, we have come up with a step-by-step guide that you may follow when making an offer letter and an employee agreement. As a business, you need to protect the interests of the company all the time. May it be a job offer email or a physical/printed work offer, using an effective letter when providing information about your employment offer can help you list down and share just the right amount of details to a qualified candidate. Using an offer letter will also allow you to ensure that appropriate and specific details about the employment are specified in a professional manner and that the creation of this document does not fall to the traps of how not to write a business letter. Listed below are the steps that you may refer to when creating your company’s offer letter document. 1. Specify the name and business address of the company as well as the date when the letter has been sent. 2. Formally greet the qualified candidate. 3. Your first paragraph should already provide information about the offer. Accurately state and define the position that you would like to offer to the candidate as well as a brief discussion of what the entire letter contains. 5. Close the body of the offer letter by providing a deadline on when you expect to receive an acknowledgement letter, hopefully containing the final decision of the candidate about the acceptance or rejection of the offer. 6. Always leave warm regards and a statement of hope that the candidate will consider to be a part of the company as an employee. An offer letter is just an initial document that can strengthen the foundation of your relationship with a qualified candidate. Hence, make sure to not include all the details that are presented in the contract. An offer letter should be an overview of the contract, not the exact copy of it. Step 1. Review the offer letter that you have sent the applicant and make sure to include all the information present in that document to the employee agreement. It is very important for all the exact promises that you have placed in the offer letter to be reflected in the employee agreement that you will create. Step 2. Find a template that you may use to list down all the details of the agreement. There are different kinds of templates so you need to make sure that you will use the one that is highly-relevant to your operations as well as to content that you will specify. Step 4. Make sure to leave a space at the end of the document for the signature of the candidate and the date when the document has been signed. This basic process is open for revisions as there are different information that should be stated in various employment circumstances. The industry or field of expertise where the business belongs can also affect the content, structure, and format of an employee agreement. As a part of the importance of human resource management, being organized with the letters that you will provide to the stakeholders of the business should always be considered. Both an offer letter and employee agreement are very important as they will serve as the guide and reference of the employer and the employee when it comes to identifying the rights and obligations that they should honor within the duration of the employment period. Do not over-promise. Make sure that you can provide the employee all the items that you have stated in both documents. Be clear with the things that you will write in the offer letter and employee agreement. Be precise within the entire discussion and make sure that the terms that you will use are not misleading. Present the information in an organized manner. Provide an easy time for the candidate to review the content of both the offer letter and the employee agreement. Make the document complete and comprehensive. It is essential for all the things that are needed to be known by both parties to be presented in the particular document used in specific stages of the hiring process. Though an offer letter is different from an employee agreement, they both contain information about the employment that are essential to the situation of the qualified candidate. When writing an offer letter and an employee agreement, always remember to be direct to the point and concise for the benefit of the business and its future employees.